Schlock-Wire: Two Bruce Lee Double-Feature DVDs Coming From Shout! Factory In April – Schlockmania! The on-going celebration in honor of Bruce Lee’s illustrious career continues in home entertainment as Shout! Factory invites loyal fans, collectors and movie buffs to dive into four spectacular Bruce Lee martial arts epics. On April 30, 2013, Shout! 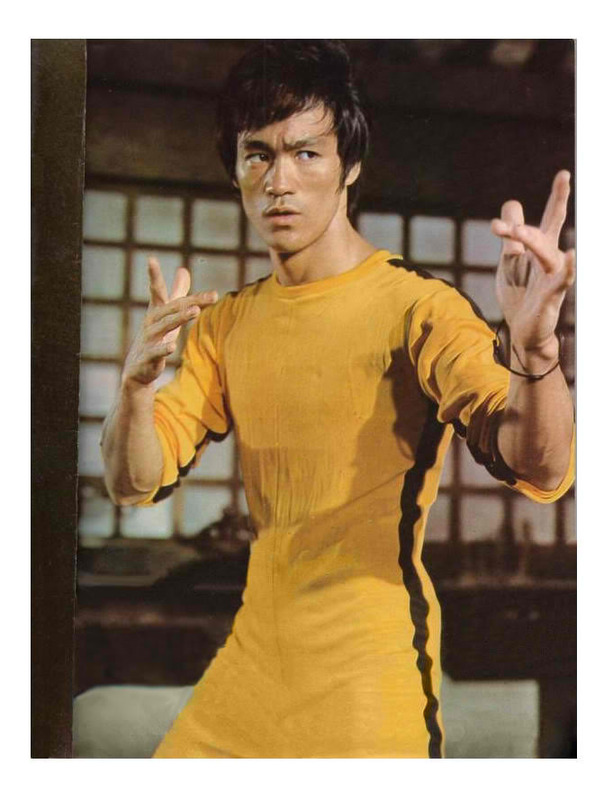 Factory presents TWO special Bruce Lee home entertainment collections when THE BIG BOSS/ FIST OF FURY Double Feature DVD and WAY OF THE DRAGON/ GAME OF DEATH Double Feature DVD hit store shelves everywhere! Featuring anamorphic widescreen presentation of the original movies from new HD-transfer, these iconic Bruce Lee movie classics deliver action-packed, adrenaline-filled escapade that will sure appeal to die hard action buffs. Each Bruce Lee Double Feature DVD is priced to own at $14.97 SRP. Arriving in stores everywhere on April 30, fans and collectors also can pre-order these Bruce Lee Double Feature DVD collections now at Amazon.com or ShoutFactory.com. In his “first smash hit movie” (BBC), Bruce Lee stars as Cheng, a young man who moves to Bangkok to take a job in an ice factory with his cousins. One day, when a block of ice is cracked open, two workers find out that something is being smuggled inside the blocks of ice. The two workers disappear without a trace and Cheng starts to investigate their disappearance. He soon finds out that the factory is smuggling heroin…and comes face to face with the Big Boss for a climactic showdown! Bruce Lee is “powerful, humorous and charismatic” (Leonard Maltin) as Chen, who arrives in Shanghai to attend the funeral of his teacher. He vows to uncover what happened to his mentor and all signs point to the local Japanese Martial Arts School , who have been taunting and insulting the students of the Ching Wu School. The local police won’t do anything about the death, so Chen decides to restore honor to his school and his teacher by bringing some furious vengeance down upon the Japanese school! 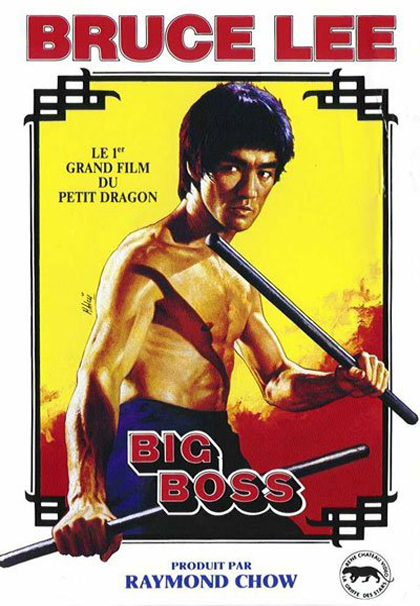 THE BIG BOSS: 1971 – 100 mins. FIST OF FURY: 1972 – 106 mins. Tang Lung (Lee) flies to Rome to help his friend, Chen Ching-hua (Nora Miao). She is being forced by local gangsters to sell her restaurant, and they will stop at nothing to get the property. When Tang proves to be a threat to the syndicate’s plans, they hire the best martial artists, including Colt (Chuck Norris). The two men battle in the ancient city’s majestic Colosseum in what is “regarded by many as the finest martial arts combat ever committed to celluloid” (BBC)! Written and directed by Bruce Lee, this film became “the inspiration for a legion of martial arts and action movies that followed” (BBC)! Billy Lo is a young kung fu star with a promising career. As the leader of a syndicate known for its exploitation of entertainers, Dr. Land (Dean Jagger) jumps at the chance to capitalize on Billy’s status and that of his singer girlfriend. Refusing to sign with Land, Billy’s martial arts mastery is put to the test when he is brutally harassed by Land’s men. In a stunning showdown, Billy must “go one on one with each of the villains in some of the most explosive fight scenes ever filmed” (Leonard Maltin). Tragically, Bruce Lee passed away during the production of this film. THE WAY OF THE DRAGON: 1972 – 99 mins. GAME OF DEATH: 1978 – 100 mins. Sounds like a worthy pair of DVDs! However, I think I’ll wait for these ‘HD Transfers’ to surface on blu-ray. Would also like to see the longer cut of The Big Boss come around as well.